In this episode, you will learn mostly the names of foods and beverages in Creole. You will also be introduced to some new vocabulary. 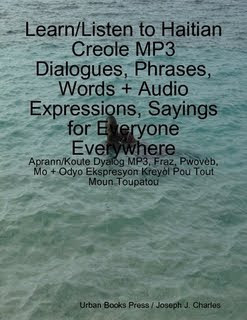 This episode covers pages 20 - 32 of the ebook titled, "Learn / Listen to Haitian Creole MP3 Dialogues, Phrases, Words + Audio Expressions and Sayings for Everybody Everywhere."